Developer Quote: "Challenge the darkness with your swift orb matching skills, mighty magical enchantments and earthshaking powerups. 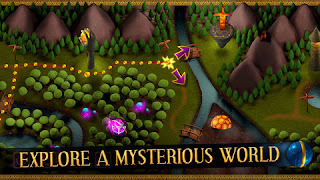 Match the orbs before they fall into the abyss and find your way through mysterious lands of startling beauty with Sparkle 2!" When was the last time you found a new game that dazzled you with its amazing high clarity graphics and sounds? Sparkle 2 does just that in this addicting and challenging "pop the marbles", puzzle action game. 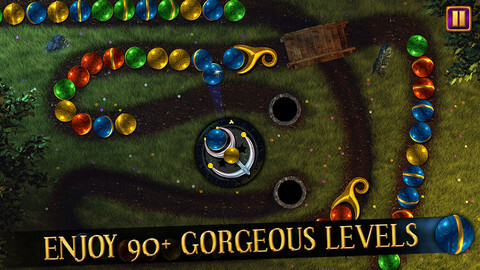 This game with over 90 levels is the exciting sequel to Sparkle! Enjoy 3 different modes depending on your mood, and revel in awesome puzzle gaming. COOL CONCLUSION: Sparkle 2 is an addicting puzzle game created in gorgeous color loaded with challenge, excitement and a smashing storyline!